John M. Taylor was born in Freeport, Illinois, and began his trumpet studies in the sixth grade; moving to the tuba in eighth grade. He graduated from York Community High School in Elmhurst, Illinois, and received his bachelor of music degree from the University of Wisconsin – Platteville. In 1962, he began studying with the world-renowned teacher and Principal Tuba of the Chicago Symphony Orchestra (CSO), Arnold Jacobs, a relationship that continued until Mr. Jacobs’ death in 1998. 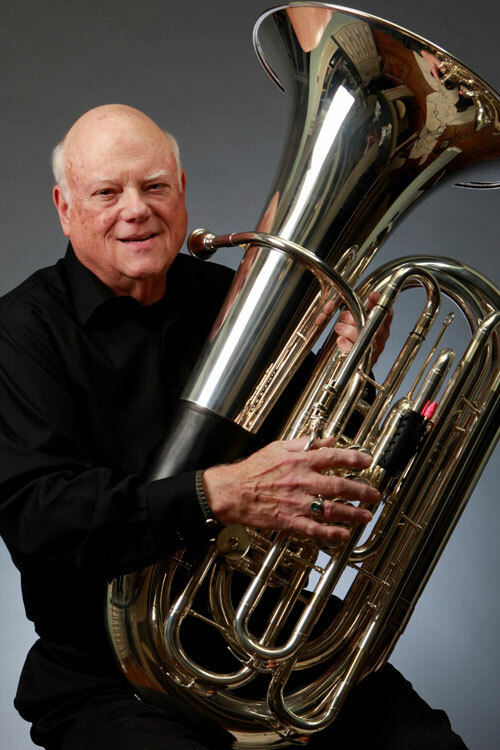 In 1964, he joined the Chicago Civic Orchestra, the CSO’s training orchestra, and simultaneously became the substitute and second tuba of the CSO. He later became the Principal Tuba of the North Carolina Symphony, the Buffalo Philharmonic, l’Orchestre Symphonique de Québec and finally served 21 years with The United States Army Band (Pershing’s Own). In addition, he was a member of the CBC-Québec Orchestra and associate tuba of the Chicago Lyric Opera. Since retiring from The Army Band, he toured Japan and the East Coast with Keith Brion’s New Sousa Band. He is principal tuba of The City of Fairfax Band, a member of The Virginia Grand Military Band (VGMB), The Avanti Orchestra of the Friday Morning Music Club and The Legacy Brass Quintet. In June of 2014 he joined VGMB’s Permanent Guest Conductor, Colonel Arnald D. Gabriel in a concert on Omaha Beach in commemoration of the 70th Anniversary of D- Day. He is currently the author of three books about shotguns and edited a forth titled Arnold Jacobs: Song and Wind, and writes for several outdoor publications. He lives in Northern Virginia with his wife of 46 years, Peggy, a registered nurse, and Vice President of Lighthouse Home Health, a full-service home-care agency, who is the ticket salesperson for the Virginia Grand Military Band concerts.